During the 2016 election candidate Donald Trump repeatedly attacked Janet Yellen as an Obama lackey who kept the interest rates close to zero to help the far left president. Since 2000, the Federal Reserve increased the Fed Funds rate excessively under President Bush between 2004 and 2006. These excessive increases led up to the 2008 recession and may have at least partially influenced the economic disaster at that time. If the Federal Reserve was political and wanted to prevent Republican Presidents from successful economic growth, then the Fed would increase the Fed Funds rates during Republican Presidents’ terms while decreasing the Fed Funds rates under Democratic Presidents’ terms. 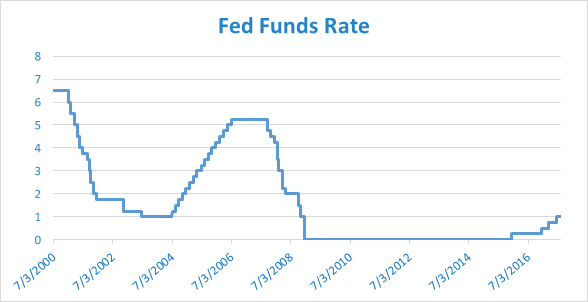 In the past 10 years there have been only four Fed Funds rate increases. Three of those increases occurred after President Trump won the election on November 8th, 2016. On the other hand, after Obama was elected President the Fed decreased the Fed Fund rate to zero and kept it at this rate for most of Obama’s eight years in office. The only Fed Funds Rate increases after 2015 were after President Trump was elected President. The Fed increased the Fed Funds Rate on December 14, 2016, on March 15th, 2017 and again on June 14, 2017. It looks like the Fed is trying to negatively impact Republican President Trump’s economic recovery after the abysmal economic Obama years (Obama was the only President where the GDP growth rate never broke 3% ). President Obama’s policies were so horrible that the historically low Fed Funds rates did nothing to spur the Obama economy. Now the only thing stopping President Trump’s economic prosperity for the United States is the same group that gave Obama the most “accommodative monetary policy in U.S. history”. 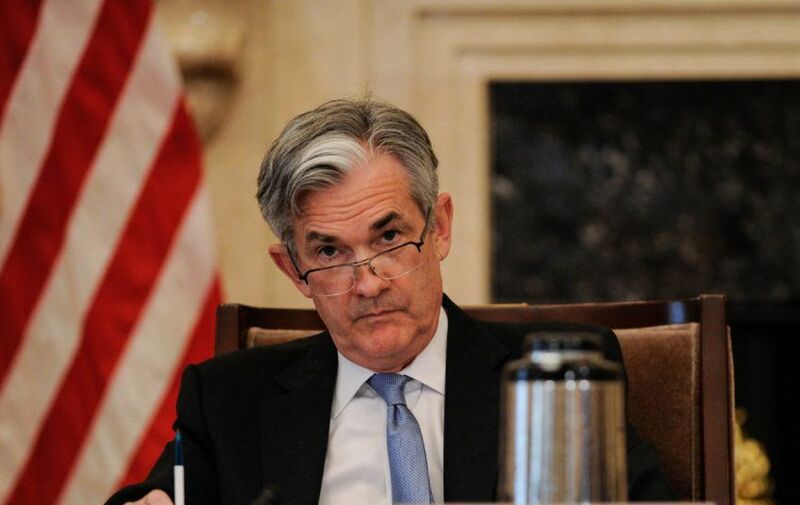 On Wednesday the White House notified Federal Reserve governor Jerome Powell that the president intends to nominate him as chairman of the central bank. Powell will succeed Janet Yellen. Mr. Trump had settled on Mr. Powell by Saturday, but people familiar with the process had cautioned that he could change his mind. The president plans to formally announce the decision Thursday before he leaves for a trip to Asia on Friday. Reached by phone Wednesday, both Mr. Powell and Fed Chairwoman Janet Yellen declined to comment. A Fed spokeswoman also declined to comment. If confirmed by the Senate, Mr. Powell would succeed Ms. Yellen, whose four-year term as Fed chief expires in early February. She was one of five finalists for the position, along with Stanford University economics professor John Taylor, former Fed governor Kevin Warsh and National Economic Council Director Gary Cohn.